Teardrop shaped beads in California pink and Olive green play against pure white seed pearls in this knockout pendant. The pink beads look true pink on one side but more golden on the other. This gives the impression that three different colors were used in this project. The pearls and teardrops are attached to an oval wire with a simple wrapping technique. Add a bail and chain and wear this eye-catching pendant with almost any color. step 1 - Cut a 7” length of 18 gauge wire. We’ll call this the beginning Base wire. Create a 90 degree angle 3” from one end. step 2 - Cut 26 gauge wire to a length of 46”. We’ll call this the beginning Wrap wire. Leaving a 2” tail, wrap the Wrap wire around the Base wire three times at the 90 degree angle. step 3 - Add a pearl, a teardrop bead and another pearl to the Wrap wire. step 4 - Holding the teardrop bead .50” away from the Base wire, pull the Wrap wire toward the Base wire. step 5 - With your fingers, pull the pearls close to the teardrop bead and twist them three times. step 6 - Wrap the Wrap wire around the Base wire two times. step 7 - Add another color teardrop bead flanked by two pearls. Follow step 4 through 6 alternating the color of the teardrop bead each time. step 8 - Continue wrapping wire until you are 3” from the end of the 7” wire. 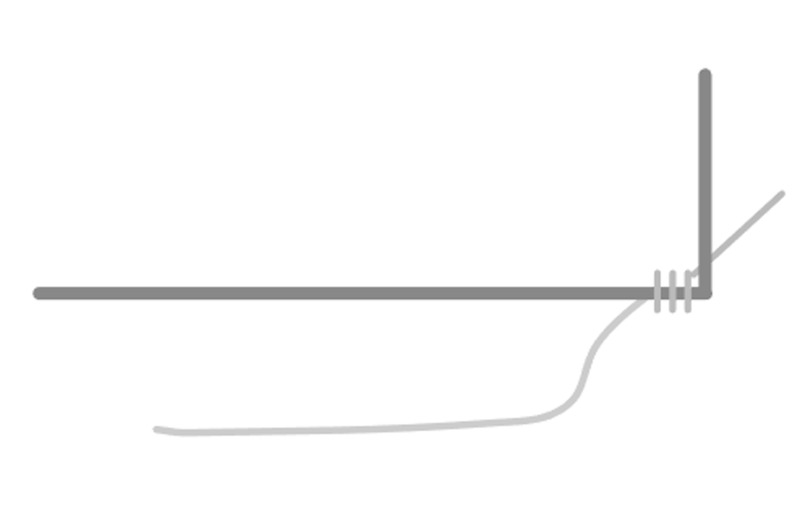 Create a 90 degree angle 3” from the finish end of the Base wire. step 9 - Bend the beaded Base wire over an oval shape. Arrange the Wrap wires so they are all facing forward with colors alternating. step 10 - Wrap the Wrap wire four times around the two 90 degree angles. Snip off excess. step 11 - Curl the beginning and finish Base wires to the back of the pendant with round nose pliers. Attach a bail to the wires before closing the loop. Trim the excess Base wire. step 12 - Snip off the 2” tail of the beginning Wrap wire. step 13 - Position all the beads to close gaps and distribute the colors evenly.